Oh, goodness. This one was a challenge. I love colors and how these turned out. Hope to get a few more done, but vacation time is approaching. 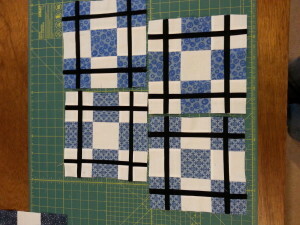 Here are 2 sets of the 9 Patch Plaid. Looking forward to this month’s drawing.